These words have the same meaning but don't belong the same word class or part of speech. Whereas 'advice' is the noun, 'advise' is the verb. 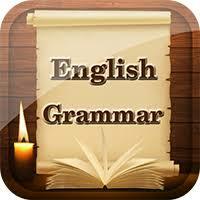 However, most times, learners of English ignorantly use them interchangeably hence making the sentence ungrammatical. a) He always gives me good advice. c) I don't like the advice you gave Tony. a) I advised her but she didn't listen. b) I will always advise you whether you like it or not. 'Complement' means the completion of something, that is, the full amount of a number which completes something. E.g. His designer's pair of shoes is a perfect complement to his outfit. On the other hand, 'compliment' is an expression of admiration, respect, affection, best wishes. a) Compliment of the season. b) He told her that he admired her painting and she returned the compliment by saying she was a fan of his sculpture. These words are also interchangeably used probability because they sound alike. 'Forgo' means to do without; to abandon, to abstain from; to deny oneself. E.g. The only way to avoid shame is to forgo acting shamelessly. 'Forego' on the other hand, means to precede; to go before. E.g. If the crowd supports his action, then his reputation obviously foregoes him. In British English, 'practice' is the noun while 'practise' is the verb. In American English, 'practice' is both the noun and the verb. Since the Nigerian English is based on the Standard British English, our usage should always correspond with the Standard British English. a) The practice of a man marrying one wife is in accordance with the will of God. b) Such satanic practice should not be brought to the church. a) She practises what she's been taught in school. b) If she must join the choir, she must practise with us. The difference between these words is in their word class. 'Belief' is the noun while 'believe' is the verb. Often times, English learners use the verb(believe) as the noun. a)I have an unshaken belief. b) My belief in God can't be shakened. a) I believe in God. b) She believed all what she was told. These are another words learners of English use wrongly. Most times, learners of English use 'cease' instead of 'seize.' E.g. I will cease your passport. This sentence is wrong because what the speaker actually means is different from the meaning of the sentence. a) The bank seized their properties. b) The army seized control of the city. b) The factory ceased operations last year. c) Their hasle has permanently ceased. Both words have the same meaning, that is, the act of defending or protecting something from attack or injury. It can also mean an argument in support or justification of something, e.g. project defence. 'Their' is used to show possession. a) Their house is very fine. b) The book is theirs. 'There' is used to show a location. E.g. The book is there. 'There' also means 'at that point or stage' e.g. Stop right there before you will say something you will regret. 'There' can also be used as a function word to introduce a sentence or clause, e.g. There shall come a time when famine shall overtake the land. As learners and users of English, we should always use the right word(s) at any given time despite the similarity in meaning.